We are writing to you from South Africa as a collective of black students, professionals, artists, writers and activists who have been watching the protests in Ferguson and other parts of the United States. Although we are separated from each other by vast oceans and large tracts of land, our connectedness remains a bond as inextricable as it was the day your forebears made that sad and dreadful voyage through the middle passage. That bond is less a claim of being blood relatives or that we all have roots in the motherland but that our black skin has been marked for violence and death since the beginning of slavery. Resistance to anti-black violence has historically been crushed each time it emerged, whether on the African continent, in the US or anywhere else in the world. And yet you, knowing this full well, have refused to let the gratuitous violence and murder of black people pass as a condition that is part and parcel of being black in the world. You have chosen to fight back, to put your bodies on the firing line, and it is this courage that has inspired us to write to you. STRATEGIC rivalry between America and China takes many forms. Rarely does a clear winner emerge. 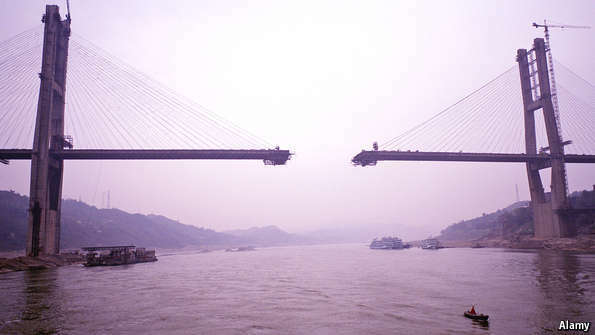 An exception, however, is the tussle over China’s efforts to found a new Asian Infrastructure Investment Bank (AIIB). China has won, gaining the support of American allies not just in Asia but in Europe, and leaving America looking churlish and ineffectual. This month first Britain and then France, Germany and Italy said they hoped to join the bank as founding shareholders. China said other European countries such as Luxembourg and Switzerland are thinking of joining the queue. Yet America has been sceptical about the AIIB. Its officials claim they have not “lobbied against” it, but merely stressed how important it is that it abide by international standards of transparency, creditworthiness, environmental sustainability, and so on. The protests began last week, and have spread across several detention centers around the country, with hundreds of refugees reported to be taking part. 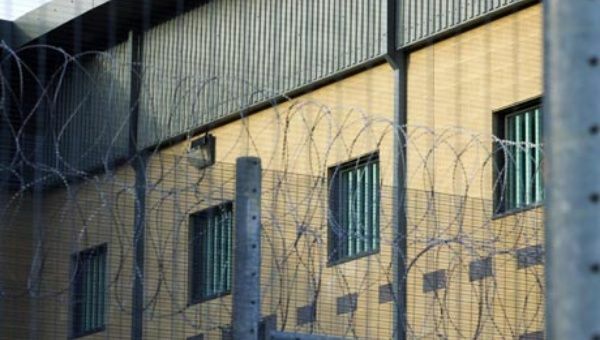 Migrants across the United Kingdom continued hunger strikes Thursday in protest against the horrendous treatment of asylum seekers in detention centers. According to asylum seeker advocacy group Detained Voices, which records stories of the experiences of refugees in detention centers, a number of refugees were sent back to their home countries Wednesday. A source, known only as “Chowdery,” told RT that detainees were calling for the cancellation of a deportation flight to Pakistan, while another said that 100 asylum seekers were due to be deported. In Thailand, riot police laid down their helmets and shields, yielding to the peaceful protesters which they had been commanded to arrest. In a showing of solidarity, police stood aside and allowed protesters to continue on. Those who had rallied to protest explained that their goal was to confront and overcome the political apparatus of former Prime Minister Thaksin Shinawatra. Shinawatra is accused of widespread corruption and abuse of power, leaving him with few sympathizers among the police. By Matthew McLoughlin @soit_goes – Australia – On March 16, 2015, thousands took action across dozens of cities & smaller regional communities in Australia demanding the government abandon its plan to evict 150 Aboriginal communities in Western Australia. Major city centers in Brisbane & Melbourne were shut down by massive sit-ins while Perth marched on Parliament. Online people used the hashtag #SOSBlakAustralia to show their support for those taking the streets. The day’s actions were organized by a vast group of Indigenous peoples, community organizations, spear-headed by a small collective going by SOS Blak Australia. A black Mississippi man who had been missing for over two weeks was found hanging from a tree on Thursday, authorities say. Claiborne County Coroner J.W. Mallett has not disclosed details of the case, and it is not yet clear if the death was from a homicide or a suicide, the Clarion Ledger reported. The FBI, the Justice Department’s Civil Rights Division and the United States Attorney’s office are investigating the case. “This is the first time I have witnessed anything like this in Claiborne County,” Claiborne County Sheriff Marvin Lucas told WAPT.